Vous pouvez également utiliser 9600 Kobo Super Points pour l'obtenir ! Renowned scholar George Steiner explores the power and presence of the unseen in art. “It takes someone of [his] stature to tackle this theme head-on” (The New York Times). There is a philosophical school of thought that believes the presence of God in art, literature, and music—in creativity in general—is a vacant metaphor, an eroded figure of speech, a ghost in humanity’s common parlance. 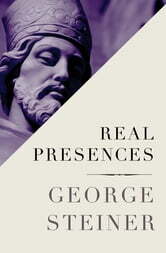 George Steiner posits the opposite—that any coherent understanding of language and art, any capacity to communicate meaning and feeling, is premised on God. In doing so, he argues against the kind of criticism that obscures, instead of elucidates, meaning. 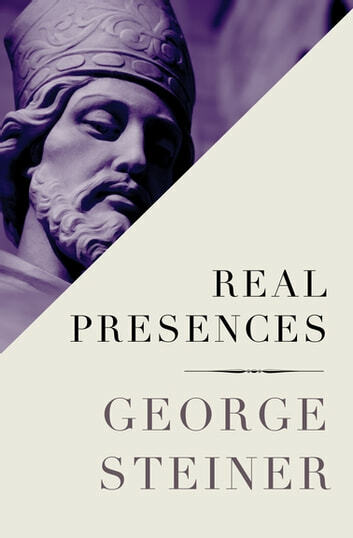 From the power of language to vital philosophical tenets, Real Presences examines the role of meaning and of the spiritual in art throughout history and across cultures.